To freshen up, ZOAJE is glad to introduce you the ICELAND set in 14k gold-filled and natural white Turquoise gemstone. Wearing it will give you an enjoyable chilly Icelandic feeling. 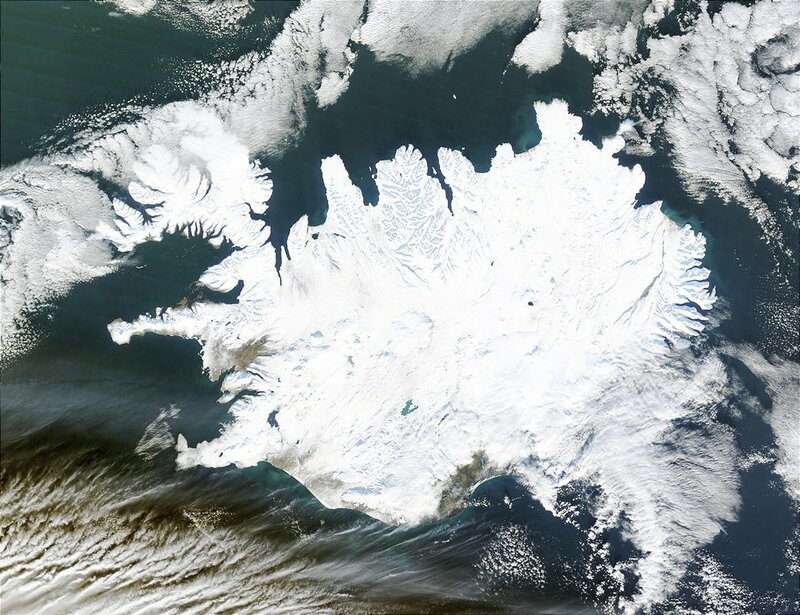 Its white color filled with grey and black details reminds of Iceland seen from space. 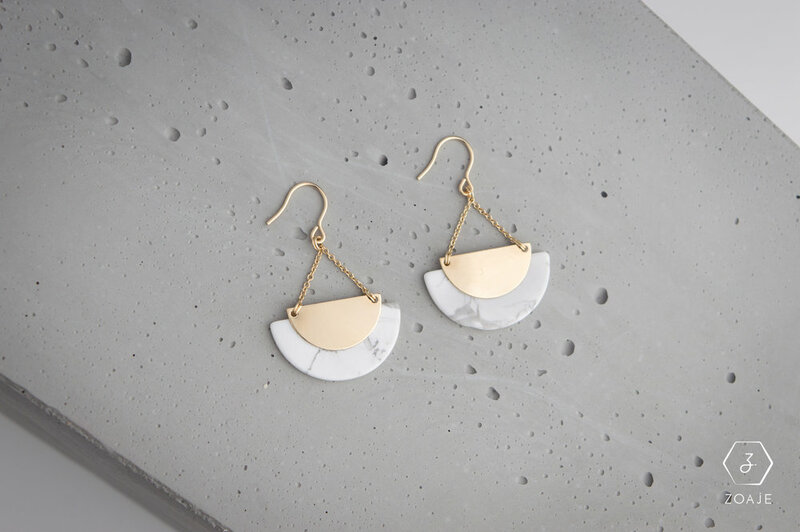 The marble effect of the gemstone creates a refined natural look and mixing it with gold makes these pieces timeless and easy to wear. The half-moon contour of the necklace and earrings suits all kind of look. As for the bracelet, its daintiness and geometrical shape make it easy to match it with other bracelets from Zoaje's collection no matter the occasion. This collection's purpose is to give you an effortless chic Black&White&Gold look anywhere you wear it to. White Turquoise is one of the rarest colors of Turquoise gemstones. Our white Turquoise gemstones have grey and black details that create a marble effect. 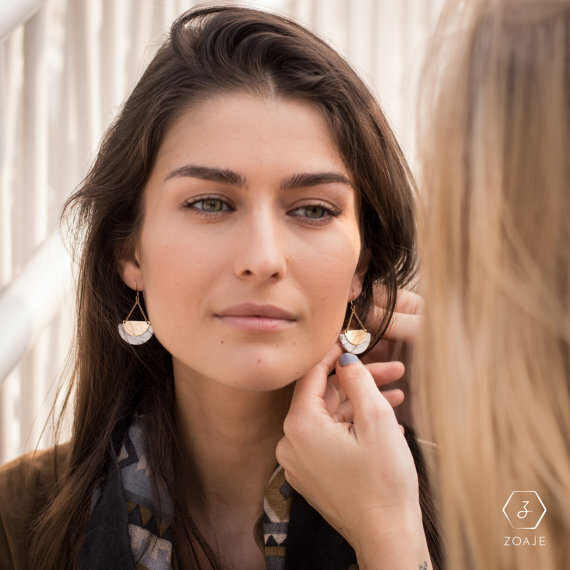 At Zoaje, we only use natural gemstones making each piece of jewelry absolutely unique. 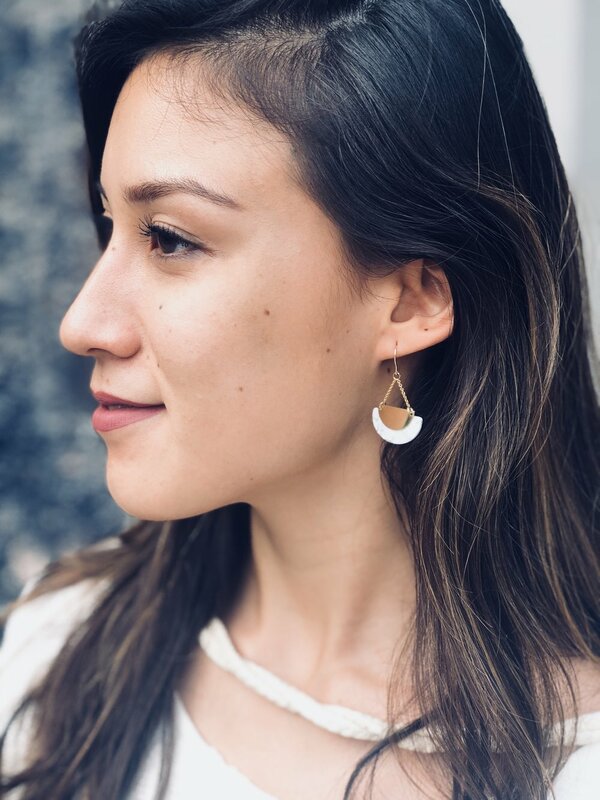 White Turquoise is known for developing awareness of yourself and thus bringing inner peace and a better understanding of your thoughts, moods, and life itself. It dispels negative energy and distracts thoughts as you learn to focus your mind. The ICELAND necklace's clasp is innovative and practical. Thanks to a sliding bead, you can adjust the length of your jewelry as much as you would like to. Certified hypoallergenic and time-resistant, there is no limit with this set. 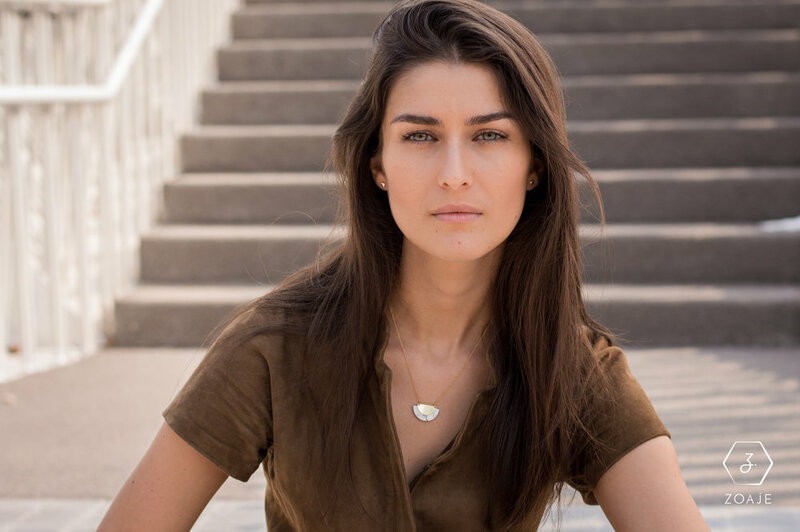 We recommend wearing the necklace and bracelet together if you are looking for an easy sophisticated look. A simple summer dress can become a cocktail one thanks to the elegant marble effect. 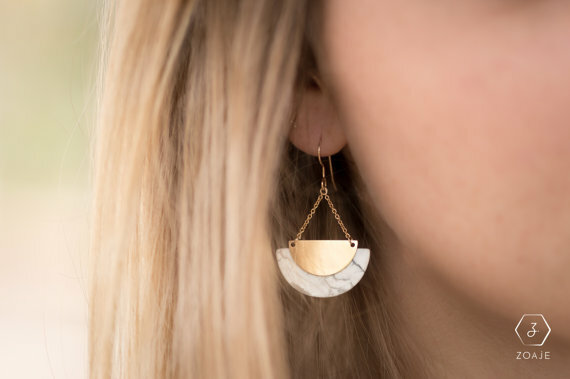 For ladies with dark hair, long or short, nothing looks better than wearing the ICELAND white earrings. The color contrast will have an immediate appealing effect on your surroundings. Be prepared to get your look stolen! 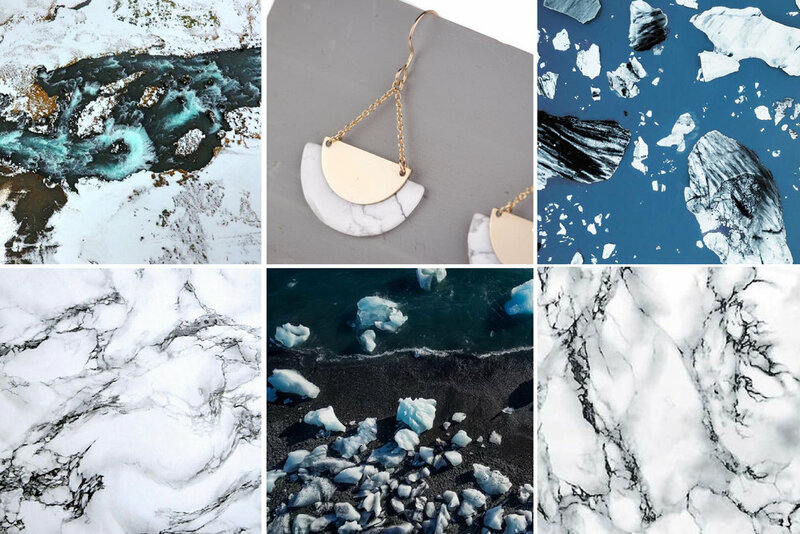 The ICELAND collection is a must-have for Summer!